A non-profit taught students how to become entrepreneurs using popular music lyrics for 7 weeks. After the 7 weeks, the students came up with their own design company Young Svge. They have a unique view on designing for their generation. 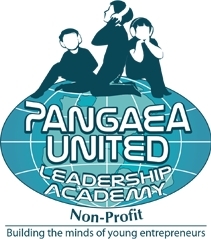 Charlotte, NC, March 27, 2019 --(PR.com)-- Pangaea United Non-profit with Featherstone & Associates is currently teaching its "How to be a Boss" entrepreneurial program at the West Charlotte Recreation Center to several youths of various ages. Pangaea United uses music lyrics of modern day artist such as Jay-Z, Kendrick Lamar and J. Cole; the innovative program aids students in understanding major principles of entrepreneurship from great philosophers such as Steve Jobs, P. Diddy, etc. Also, the program uses content in the means of sonic (an actual DJ in the classroom), visual (YouTube) and socially relatable mediums (social media) in order to further enhance their building block principles of entrepreneurship and business. Pangaea United and the students has thus far produced a small start-up apparel brand with the moniker of "Young SVGE," shortened for young savage after the first 12 weeks of the program. Every aspect of this brand is from the great minds of the students in the classroom with little guidance from its teachers. One of the main reasons the students called the brand Young Savages comes from a stigma the students want to redefine. Our students, our business partners in every sense of the word, are here to show the world what true entrepreneurial spirit means. To have the confidence, conviction and business savvy to embark on the entrepreneurial journey that takes a different mentality. A "Young Savage" mentality. Young Svge clothing can be found at www.pangaeaunited.org/shop/ as well as at local music events and festivals in Charlotte. To stay up to date on upcoming events, visit the Instagram page of the non-profit www.instagram.com/pangaeaunited. Also, please support the GoFundme campaign at www.gofundme.com/pangaeaunited.